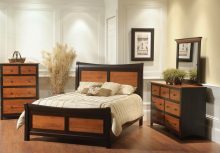 AmishOutletStore.com is your complete source for beautiful solid wood Mission and Shaker Bedroom Sets. By purchasing Mission or Shaker bedroom furniture as a set, you get everything you need to complete your bedroom ensemble all at once.Depending on your preferences, you can purchase a set that includes a bed, dresser with mirror, chest of drawers, nightstand and many other gorgeous pieces. You can also qualify for volume discounts, which can result in big-time savings. The Amish Bedroom Sets pictured below are just a few of our available options. More choices can be found by viewing the Amish Bedroom Collections and Amish Bed categories located on the left. These sets and pieces feature all solid hardwood crafted with care and strict attention to detail in the Shaker style we’re famous for. There’s a reason Amish furniture is so well-respected. Timeless Shaker and Mission designs are made out of only the best American hardwood, using the same techniques that Amish craftsmen have been using for well over 100 years. The result is attractive furniture that will serve your family for many generations. Amish furniture isn’t made to be purchased and thrown out a few years later. Our handmade Amish bedroom furniture is sturdy and durable, unlike most modern, mass-market furniture made from low-quality laminates and composites. It is also built right here in America, which keeps hardworking Americans employed doing work that they love. You can also be sure that the Amish craftsmen and artisans creating your bedroom furniture work in a safe and comfortable location, and not in a dangerous overseas factory. The combination of quality, value and tradition make Amish bedroom sets extremely appealing. And within the Shaker and Mission styles, you’ll find over a dozen unique versions of our bedroom sets, meaning you can find the perfect bedroom set for your room (or anyone else’s!). With beds available in different standard sizes, multiple dresser and armoire choices, and a wide range of additional pieces (like nightstands, chests and mirrors), it’s easy to fill even the largest bedroom with gorgeous Amish furniture. If you’re having trouble finding the Mission or Shaker Bedroom set that’s right for your home or need help placing your order, please contact us at 1-800-217-6999, and we will help you put together an Amish set you’re sure to love! You can also order Shaker and Mission bedroom sets online quickly and securely on a 24/7 basis. Shaker and Mission are two of the most popular and enduring furniture styles found in American homes today. The Shaker style was created in the mid-19th century by a religious group called the Shakers. Named for their enthusiastic behavior during religious services, Shakers are known for minimalist design and absence of ornamentation. The Mission style originated in San Francisco just before the dawning of the 20th century and features straight, simple lines that were influenced by the many Spanish missions found in the region. Both styles offer an ideal combination of form and function that still resonates with homeowners here in the 21st century. These two Amish styles of furniture are among the most prized on the antique furniture market today. Their simplicity, beauty, materials and robust construction mean furniture built 50, 100 or even 150 years ago is still in use today. Thankfully, Amish craftsmen are still building this legendary furniture, so you and your family can purchase brand new bedroom sets that harken back to simpler times. The real hardwood and rich stains make all of our furniture durable and wear-resistant, meaning the Shaker or Mission style bedroom set you buy today will still be providing a comfortable night’s rest for your children, their children, and their children’s children. Thanks to the elegant simplicity of our Amish bedroom sets, it’s easy to add any type of décor you like to decorate your bedroom and complement your new hardwood furniture. Every Amish bedroom set we offer for sale is made from the most durable hardwoods such as Oak, Cherry, Maple and Quarter-Sawn White Oak. We never use the inferior materials that are found in so much of today’s mass-produced furniture. Not only is our wood of better quality, but because our bedroom sets aren’t designed to be shipped in a million pieces all over the world, they’re much more solid. We use traditional and time-proven joining methods (like dowels, dovetails, nails and glue), unlike the mass-produced, “some assembly required” furniture that uses sub-standard plastic clips and attachments that aren’t designed to last. In addition to lasting a long time, these hardwoods are known for their distinctive natural wood grains. You’re assured of getting truly unique Shaker or Mission bedroom pieces instead of bland, “cookie-cutter” furniture. In many families, traditional Amish bedroom sets are more than furniture — they’re prized family heirlooms that get passed down from generation to generation. And because all of our bedroom sets are designed according to clean, simple Shaker and Mission styles, you can always add new pieces in the future if you move to a different house or require more storage, for example. The Amish have been synonymous with furniture-manufacturing excellence for generations. Over the years, the Amish have perfected the art of handcrafting Shaker and Mission furniture. We use the services of only the very best Ohio and Indiana Amish artisans to create one-of-a-kind furniture masterpieces that you’ll be proud to have in your home. We know and trust these experts to put all of their talent and know-how into crafting you a truly special Amish bedroom set. 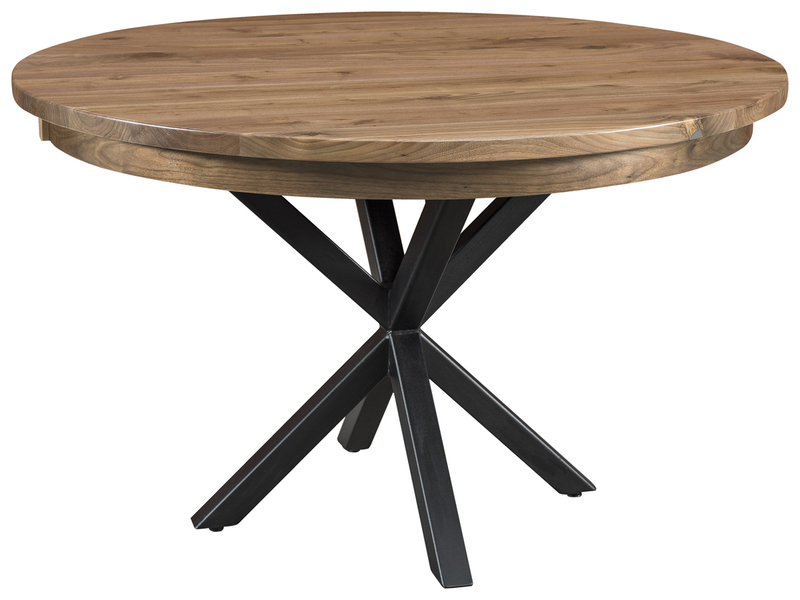 They choose every last piece of wood so your furniture presents a beautiful, natural, harmonious wood grain, and then apply deep, rich stains of your choosing so you get the attractive and durable finish you desire. Take a look at our online catalog and choose the style, wood and finish that appeals to you the most. You can narrow down your choice by comparing the different sizes and layouts of our dressers, armoires and chests, according to your storage needs. Our Mission and Shaker Bedroom Collections are priced to fit even the tightest household budgets. In addition to our volume discounts, you can save up to 33% off the regular retail price if you buy now. We also feature money-saving monthly specials that can provide excellent value for your furniture dollar. When you purchase our bedroom sets, you get a big discount over the price of purchasing individual elements. Take advantage of attractive pricing on your matching Amish bedroom set today!